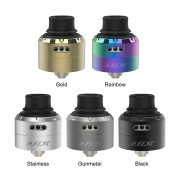 Holic MTL RDA is a unique single coil rebuildable atomizer collaboration with an experienced Japanese vape reviewer - Horick TV. Made of high-quality stainless steel, it is very durable. Featuring 360°surrounding airflow and 6 levels airflow control and the unique unlimited AFC system with airflow control set, it contributes to produce fabulous flavor! Together with deep juice well and easy top filling design without leakage problems. Also, the bottom feeding with BF pin, which bring you excellent flavor. 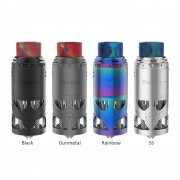 ❤ Please read the user manual carefully before using this Vapefly Holic MTL BF RDA. 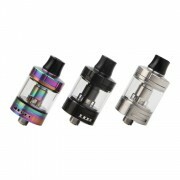 ☞ 3 months warranty period for Holic MTL BF RDA.